Israel is and remains God’s holy soil! Revealing message from God, including: One sees everything prophetically going into fulfillment, and they will turn against Israel. One will not take the agreement into account. Israel is the apple of God’s eye, and will be protected and invincible! Hello, very welcome! On July 21st, 2015, the following revealing message of God was delivered to end-time Prophet Benjamin Cousijnsen, by an angel of the Lord, on behalf of the God of Abraham, Isaac and Jacob. Shalom! I greet you in the wonderful Name of Yeshua HaMashiach, Jesus Christ. Verily, my name is Treami and I am a messenger angel of God. Verily, the antichrist stands behind the criminals, and would like to change the prison system with its rules, and preferably release everyone. “Because America is a land of opportunities,” says the antichrist. Verily, Obama has released more than 100 criminals and let many go, such as the exterminator of Christians, who has also used poison gas against his own people: Bashar al-Assad, president of Syria. Verily, and with the nuclear deal with Syria and Iran, one sees everything prophetically going into fulfillment, and one turns against Israel. And they will not take the agreement into account! Verily, the antichrist is full of ideas, in order to set countries against Israel, and take action! 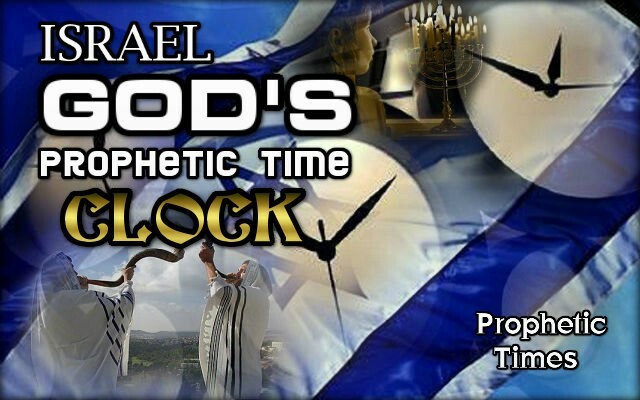 Verily, Israel is the apple of God’s eye, and will be protected and invincible! Psalm 37, verses 27 to 29 Depart from evil, and do good. Live securely forever. For the LORD loves justice, and doesn’t forsake his saints. They are preserved forever, but the children of the wicked shall be cut off. The righteous shall inherit the land, and live in it forever. Verily, in Yeshua HaMashiach, Jesus Christ, you are more than a conqueror! Praise Adonai, El Elohím! Amen! ⟵Parsyal nga eklipse sa adlaw dili usa ka sulagma, kondili usa ka sinyales gikan sa Dios!